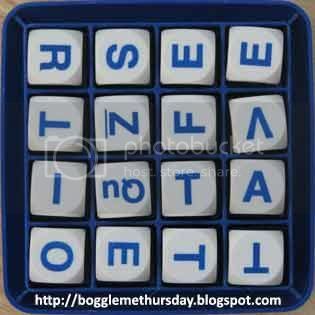 Another edition of Boggle Me Thursday hosted by MommyW. You can click the badge to get the word patter and join the fun in finding words out of this jumble words. It's not that I'm tired, I just couldn't find any more words and beside 3 minutes is such a short time to look for more words. Im pretty sure there are more words that I didn't get, so goodluck finding everyone!